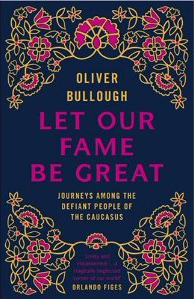 Oliver Bullough talks to The Global Dispatches about his new book "Let our Fame be Great - Journeys among the defiant people of the Caucasus". Oliver Bullough was born in 1977 and grew up on a sheep farm in mid-Wales. After studying history at university, he moved to St Petersburg on a whim, liked it and ended up living in the former Soviet Union for the next seven years. During most of that time, he reported on the North Caucasus for Reuters news agency. He moved back to Britain in 2006, and now lives in London. How the idea for “Let out Fame be Great” develop? 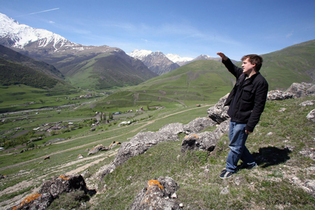 I reported on the Caucasus for four and a half years which gave me a good understanding and a love for the area. However, by the time I moved to London in 2006, I was suffering from reporting fatigue as the Caucasus was a truly relentless region to cover on a day-to-day basis. I had decided not to write about it again. Then by chance I was asked by a friend to speak on the subject of the Caucasus to a society that deals with foreign affairs and at the end of that speech I was approached by a lady who asked me matter-of-factly “When are you writing your book?” It hadn’t actually occurred to me to write a book but as soon as she asked me, the idea took hold. Writing what is essentially a history book must be very different from front-line reporting with strict deadlines? Yes, that’s true. Writing the book has allowed me to approach things in a completely different way. As an agency journalist you are dealing with minute-by-minute deadlines and you never get to have a proper conversation or put things in their proper context or write about things in the depth that you would like. When writing a book, you can talk to someone for two or three days which is a real luxury. What about the title of the book, where is that from? The northern Caucasus is amazingly multi-ethnic, a region where perhaps 45 different languages are spoken. I was looking for a title that could unite all of these people, the vast majority of whom are Muslim but in very different ways, with a few Christians as well. I was looking for a title that would unite them in their sense of hospitality and “cussedness” and lack of respect towards authority. The title comes from a folk-tale of a mythical people called the Narts, a tale which is told in many of the languages of the region. The story goes that back in the mists of time their God sent a messenger down to the Narts who were the giant ancestors of the people of the Caucasus. He gave them a choice: they could either lead a “dull and prosperous” life or a dramatic and short life full of fame; their choice was “though our lives be short, Let our Fame be Great”. Ironically this has not been the case, their fame isn’t great and no one knows anything about them, so I hope that my book might go some way to redress that. The very start of the book deals with the Nogai people which sets the stage for the point of the book namely the ongoing culture clash between the people of the Caucasus mountains and the Russians. 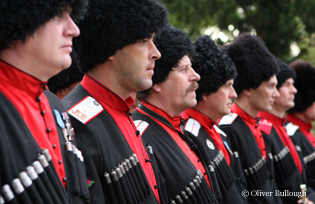 Russian culture developed over centuries of living in very authoritarian states, so their culture tends to be more based on resisting internally while outwardly agreeing with the authorities, whereas in the Caucasus, the national character is much more based on a general refusal to obey orders, with a more independent spirit. They were more rebellious and less regimented. In the Caucasus there was effectively no government at all until the Russians came. Russia has never been able to pacify the mountain people except by mass expulsions and this is what happened with the Circassians. I consider this to be the first genocide in modern European history, and it is not something that has ever been closely studied by a proper historian. My book is the first unified account in English of what happened to them, at least as far as I am aware. The history still requires a great deal of study. I did my best using sources in English, Russian and French but there are still many sources in Turkish but written in the variety of Turkish that existed prior to the language being officially changed which makes translating all the more difficult. The Russians seem to have an ambivalent view to the Caucasus: on the one hand they want to overrun and destroy the people of the Caucasus and on the other they romanticize their free and independent lifestyle. Yes, it is very odd, there is this sort-of Byronic celebration of the free Caucasus. Pushkin was the perfect example of a poet who glorified both the free lifestyle of the Caucasians and the armies marching against them. It is a very 19th century phenomenon. You saw the same thing from British authors of the time: Kipling wrote about the noble savage while glorifying the expansion of the British empire. What is different about Russia is that this contradiction has continued to the present day: There has never been an acknowledgement that what was done was wrong, as European colonial powers have tended to do. The French and the British have come round to the idea that they should not have behaved in the terrible way that they did. Sadly that has not been the case in Russia. It is sad that nobody engages with Russia on this important issue, and as we can see from the recent terrible bombings, the issue will not just go away by itself. That was an astonishing episode that I described in detail as it was a remarkable example of magnanimity by the Russians. Shamil too appears to have genuinely come to love the Tsar and appreciate the Russian people. Shamil was an astonishing character and I would recommend that everyone find out as much as possible about him. The Russians and their Tsar behaved in a very generous and noble way to Shamil but it is important to remember that this is the same tsar that wiped out the Circassians just five years later. Remarkable as it was, this episode was very much the exception to the rule. 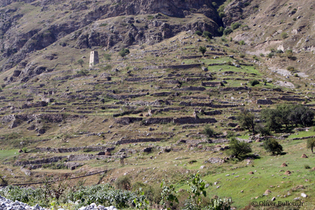 Is Russia’s interest in the Caucasus simply geopolitics, wanting an access to the South? I think it started that way. It started with an interest in Georgia and then a desire to move into Persia and Turkey with an eye to reaching India eventually, which was the aim of many Tsars in a rather “dreamy” way. Now it has become less rational. It feels like English politicians who were obsessed with the Irish in the 19th Century. Today anyone who does not see that the borders of Russia end with the Caucasus mountains is being anti-patriotic. Interestingly when I was working as a journalist in Russia writing about skinheads and neo-Nazis, almost none of the skinheads I spoke to wanted the Caucasus to be within Russian borders. They wanted Russia to pull back to the North of the Caucasus, not for any humanitarian motive but simply because they wanted nothing to do with these people. I visited a town in what used to be Circassia and the town was named after a Ukrainian soldier fighting for the Russians who blew himself up on an ammunitions dump rather than have it fall into the hands of the Circassians. Nobody today realises that this soldier had been trying to defend a Russian outpost in what was then a foreign country. Even in Russian history books, the Circassians just disappear at a certain point, a bit like the ancient Greeks who once lived in that area and then suddenly disappeared for no apparent reason. Many people think that this area is the homeland of the Cossacks, but they were moved there by Catherine the Great. Perhaps on an intellectual level local people do know, because the town names are clearly foreign and they must realise that at one time someone else used to live there. But if you bring this up with them, you do get a confused and angry response – as if you were suggesting something a bit traitorous. On your travels to visit Circassians in the diaspora, how were you treated? I was treated wonderfully. 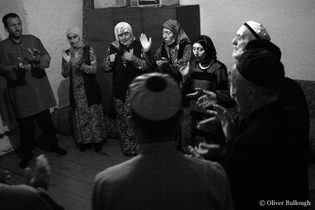 One thing that the Circassians pride themselves on is their culture of hospitality. I arrived in Israel with just one phone number for a Circassian cultural association. I knew where it was and I had had some contact with one person who I tried to get in touch with upon my arrival. However he had forgotten I was coming, so he asked a friend to look after me. His friend was a Colonel in the Israeli army who had never heard of me but nevertheless treated me like a visiting cousin during the period of my visit. I met his friends, I went to a wedding and was told all about their culture and traditions. They were all very good-natured and it is hard not to fall in love with all of them on the spot! The same thing happened in Turkey, Kazakhstan and Eastern Europe as well. They were all delighted that a foreigner was interested in the Caucasus. In the post-war period in your book you concentrate more on the Chechens. The Chechens are very unusual, and the Ingush too. In the world of Islam, in the 19th century when Islam modernised and took on various forms, many of which we see today, the Chechens went down a completely different path and became almost 100% Sufi. This means that they have closed brotherhoods of believers which tended to be quite democratic but were very difficult to penetrate for outsiders. Even the KGB found it difficult to penetrate their society in any meaningful way, and the Chechens in the 19th century and later in exile in Jordan and Turkey managed to preserve their society through their religion. 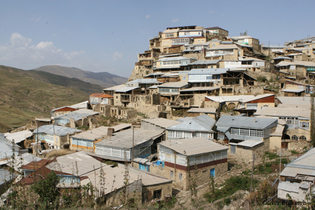 I had an astonishing experience in Kazakhstan visiting a village in the middle of nowhere, right in the middle of the steppes, a small village with just 1,300 people, almost all Chechens. They lived entirely in their own way, not troubling anyone, living by their own laws and using their own language. A schoolteacher told me a story of when the KGB came in the 70s to crack down on polygamy, two KGB officers tried to get him, a seven-year-old at the time, to tell them who his father was, as his mother was his father’s second wife, but this little boy got the better of them in this brow-beating competition which was remarkable for anyone, let alone a 7-year old. Your book is not overly flattering to Russia, how has your book been received in Russia? I don’t know how it has been received, I don’t imagine it will be translated into Russian. Circassian and Chechen friends of mine in Russia have been very positive about the book. That said, I don’t have an axe to grind about the Russians. I have seen and read other books which are completely anti-Russian and I just don’t understand them. These books bring nothing to the debate. They are just full of prejudice. My book, I hope, is all about the people in the region and the troubles they have. I don’t think I am particularly pleasant about any of the governments of the region that I speak about. If it is ever translated into Russian, although I doubt this will happen, I would hope that Russians would read the book in this light and realise that it is not an anti-Russian book. It is just difficult to write a book about Russia and that region in that period without being critical. When governments use mass murder as the major policy tool it is impossible not to take a critical stance. It would be the same if you wrote a book about the purges of the 1930s. Stalin would never come out in a positive light. This would not make the book anti-Russian, the man was a monster. The same could be said about the Russian general who decorated his house with Circassian skulls; nothing I could have written would have made him look good. I don’t mean to, but I do think there is a problem that needs to be addressed and it is not going to go away by itself. There is no doubt, Sochi will be a heavenly place to hold the Olympics but there is no getting around the fact that the Games will be held on the 150th anniversary of the Circassian genocide when that whole region belonged to someone else. There has been absolutely no acknowledgement of that at all. This would be a very good opportunity for the Russians to stand up and put their hand on their heart and come clean and then move on. It would be an acknowledgement of the wrongs committed in the past and a positive step forward. To date anyone mentioning these historical facts is accused of being in the pay of the CIA, which is a little puerile! Imagine if the Olympics were held in eastern Turkey without any acknowledgement that this used to be Armenian land. The world would see that as wrong, and the Russians would certainly have something to say about it. What is the current state of Chechnya? It is actually quite turbulent compared to how it was three or four years ago. There is still an iron fist at work, helped along by large sums of money. The situation has worsened because the new government has been very brutal in imposing its will. There used to be a balance of Chechen clans who ran Chechnya on Russia’s behalf, but many of their leaders have been killed and now there is a much narrower power base. This fact and the accompanying brutality has alienated people, and a good analogy for the way Chechnya is being governed by Russia is the way that Britain governed Kenya in the 50s, via a very small cabal of tribal leaders who were effectively paid to fight the war on Britain’s behalf. It became obvious with Kenya that this was no way of running a country. It is not a long term policy. I think there are people within the government in Moscow who recognise this. Some measure of stability has been reached which satisfies some short term interests but a long term strategy is still needed. This is another problem that has not been dealt with in the media. By European standards, the Chechen exodus is a drop in the ocean but by Chechen standards you are talking about a very large proportion of the population. The fact that this exodus is still taking place gives the lie to Russian statements that there is overwhelming support for what is going on in Chechnya. The fact that people are leaving in such numbers is a clear indication that there is a problem. Chechens have the habit of getting angry when they feel like they have been treated unjustly but Europe cannot really solve the problem. The EU cannot make a blanket statement saying that if you are a Chechen you automatically deserve asylum. The EU cannot take responsibility for the whole Chechen problem. To what extent have the tribes of the Caucasus been their own worst enemy in not uniting to fight a common enemy? I don’t know about that. I would say that they have been their own worst enemy at times by not accepting defeat. If the Circassians back in the 1820s after 5 years of fighting the Russians had held up their hands and agreed to form a part of the Russian empire, Circassia would now be another Georgia inasmuch as they would not have been expelled from their homeland. The Kazakhs surrendered to Russia, they then carried on living within the Russian empire and they now have their own country. The demise of the Circassians was spectacular but doomed as they were not prepared to accept defeat. The Chechens too in 1992/93 could have agreed to terms, become a part of Russia with broad autonomy and could have lived with a certain degree of independence and prosperity. But this is just not the way they operate, they just don’t have that setting. I do wish sometimes that they were a bit more amenable, even if that meant they were less admirable. I am writing another book, this time about Russia exclusively, and I am trying to trace some of the reasons behind the fall of the Soviet Union and the demographic decline in Russia today. There will be some similarities with my new book in that it will be about the lives of ordinary people but the subject matter will differ as I will be looking at Russia from the 1960s through to the 1990s. Russia within living memory if you like. This should be published in 2012.